Cool as a...Cucumber! Seedless, succulent, and greenhouse perfect. 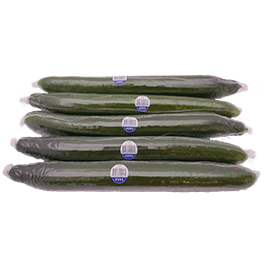 Our refreshingly crisp cucumbers are ready for slicing as a flavorful addition to any salad or sandwich. Box Size 13 x 11.5 x 4.25"
Box Size 23.07 x 15.1 x 4.1"